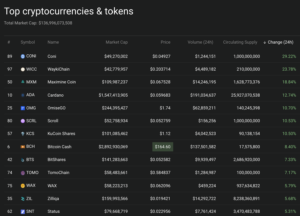 Bitcoin (BTC) stays slightly below the 4000 USD psychological resistance level making most of the cryptocurrency market move sideways with the exception of many coins/projects trading with EOS. 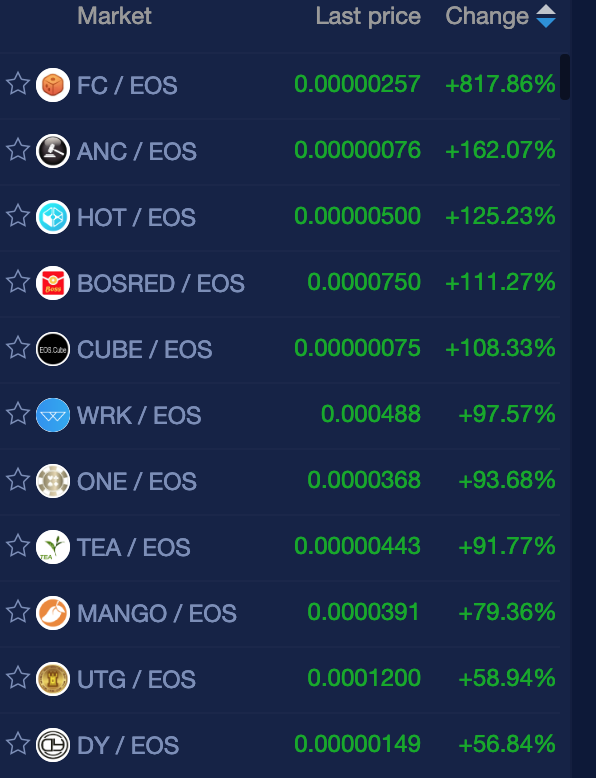 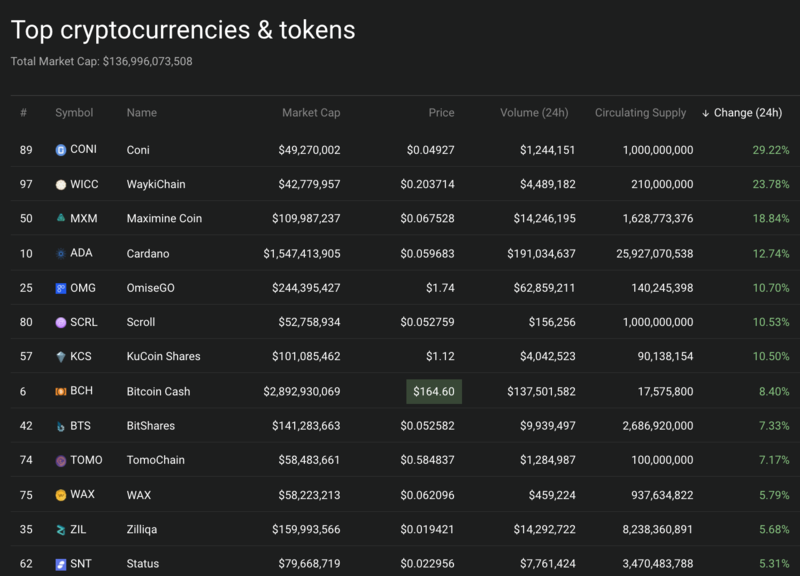 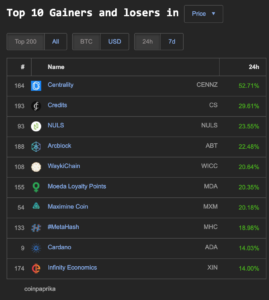 Within the top 100 market cap Coin360.io has 7 coins with double digit percentage gains: CONI 29%, WaykiChain (WICC) 23%, Maximine Coin (18%), Cardano (ADA) 18%, OmiseGO (OMG) 10%, Scroll (SCRL) 10% and KuCoin Shares (KCS) 10%. 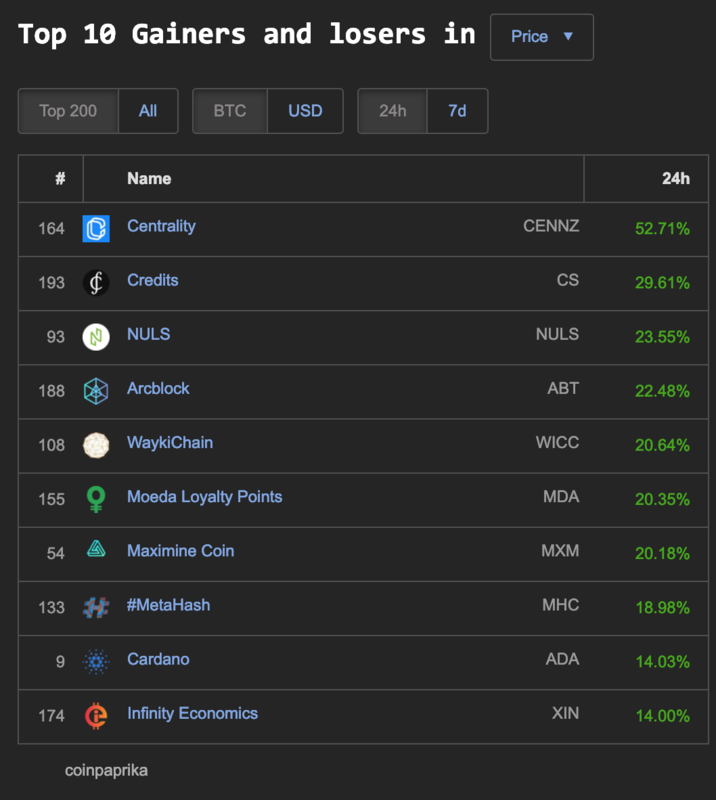 Coinpaprika.com’s top ten coins within the top 200 market cap all have double digit percentage gains: Centrality (CENNZ) 52%, Credits (CS) 29%, NULS 23%, Arcblock 22%, WaykiChain 20%, Moeda Loyalty Points (MDA) 20%, Maximine Coin (MXM) 20%, #MetaHash (MHC) 18%, Cardana (ADA) 14% and Infinity Economics (XIN) 14%. 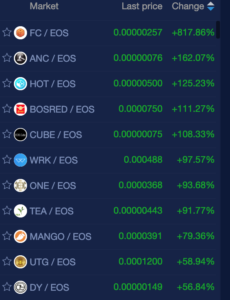 NewDex.io exchange (again) has by far the most significant gainers today with five coins gaining over 100%: FC (817%), ANC (162%), HOT (125%), BOSRED (111%) and CUBE (108%).